← ISAD 2014 – We speak with one voice! We have changed the way we link up with you. We use Facebook (https://www.facebook.com/isastutter) much more. Our e-newsflash (http://www.isastutter.org/news/e-newsflash), and One Voice (http://www.isastutter.org/news/one-voice-newsletter) are now notified to you via Facebook. Please add us to your favourites; please look at our Facebook page often; please contribute; tell us what you like or want improved; click on LIKE whenever possible. Comment about https://www.facebook.com/isastutter on your own Facebook page and ask your readers to visit and LIKE us! Tell us how we can help you or your local group. 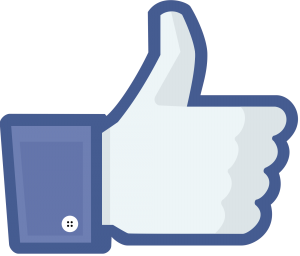 Let us know if you have any ideas about how to improve our Facebook use. ISA is preparing for the new issue of One Voice. However, we have to apologize beforehand that One Voice 36 was not released due to unforeseen circumstances. We will update the articles we already have and add new ones and release the combined issue of One Voice 36 and 37 in January. We need your articles for new issue of One Voice by Monday 12th January 2015.
near future? Readers would really like to hear your experiences. Do you have any useful research? Anything many members want to read is welcome. Photos with any article will be very helpful. Please send all articles and photos to me and I will pass them on to our Editor, Josh. If you need inspiration, please see http://www.isastutter.org/news/one-voice-newsletter. We had a very good online conference from 1/10/2014 to 22/10/2014. Active participation in this year’s conference is closed now, but all the papers and comments can be seen at http://isad.isastutter.org/isad-2014/. Also all the previous years can be viewed at http://isad.isastutter.org/isad/. As always we continued our support for the International Stuttering Awareness Day (ISAD) on October 22nd. Plans and actions by Countries can be viewed at http://isad.isastutter.org/isad-2014/isad-2014-around-the-world/. The African Congress organizers have had difficulty raising sponsorship money for African Delegates. The ISA is very keen to help all PWS on the continent of Africa. We now think there are more productive ways to help Africans. We would like Africans in different Countries to work with us to set up their own National websites / Self Help Groups and National Associations. As in Rwanda it would be good to set up online therapy and online group discussions possibly via a National University with their better computer facilities and bandwidth. If you want to work on these ideas in your Country and will take a leadership role, then please contact Hanan Hurwitz <hanan.hurwitz@gmail.com> who is project leader for this work. More in the next e-newsflash. Shortly our Treasurer will be sending 2014 invoices to Associations. We request that payments are made in GBP £ sterling. This will save the ISA the costs of currency conversion. A payment by PayPal will be available as well. Outreach committee and the 5 sub committees. Continued work with Israel Chicago (USA) and Jordan. There are many ideas being assessed about what to do in Africa. World Congress 2016. We are confident that the dates will be July 5-10 2016. There are still issues to be resolved on room price and banquet costs, so there is no definite location yet. Both Anaheim in California and Fort Worth in Texas are prime possibilities. I have tried to find more SLPs /SLTs who will write about their therapies that go beyond the words we stumble over. I have had no success. I believe this type of approach to therapy is being practiced in more Countries by many SLPs / SLTs. We need to see more about it from more professionals. Please remember, I would like to hear from Therapists from all around the world who use additional therapies (outside the conventional help with the words from our mouths). I would like an article from you about your treatment of people who stutter. I believe for example that the Japanese Self Help Groups look into the benefits of Assertiveness Training, Gestalt Therapy, Psychodrama, Transactional Analysis, and Rational Emotive Behavioural Therapy. I know of the use of ACT and an adapted Mindfulness Therapy. Could I have volunteers to write an article on one of the above or on any other therapy out there being used with success? If so, please contact me so that I can include your article from November onwards. Would PWS contact me with details of an additional therapy which worked for them. I went to Iceland at the beginning of September 2014. I met and spoke with many lovely people, both professionals and People Who have a Stutter. There is a Nordic link. The Countries in the Nordic link are Iceland, Sweden, Denmark, Finland, Norway and Belgium. Some other countries are asking to be included. The first conference I attended was the STUREN Nordic Conference. See http://www.sturen.org/?page_id=309. It was opened by the President of Iceland who used to stutter. This was a conference by professionals, mainly for professionals, but PWS were made welcome. It was about STUREN’s progress so far (http://www.sturen.org/?page_id=40). Roger Ingham covered a lot of ground, but what rang true for me was discussion on ‘white matter’. See http://blogs.biomedcentral.com/bmcblog/2014/03/14/the-subway-of-the-brain-why-white-matter-matters/. Currently it is believed that white matter is not unchangeable, it can change. His Neurophysiological findings when there is a reduction in putamen levels stuttering is reduced or goes away. Also my understanding of what he said was that there is a link between motor movement and putamen. Putamen is low when ‘chunking up’ e.g.playing a piano score without thought. So possibly (my own thoughts based on what was said) chunking up ideas gives low putamen, but thinking is words gives high putamen. If you teach your self to juggle three balls you change your white matter. There were many other excellent papers. If anyone is interested I have some PDFs I can share. The second conference I attended was the Nordic Stuttering Conference. Attendees from the Nordic Countries were very appreciative of the program on offer. This was followed by a bus tour for those of us interested in viewing parts of Iceland. Photographs are available if requested. My warmest wishes to you all.